Training can improve the performance and productivity of a barber shop’s staff and ensure that employees have the skills the business requires. 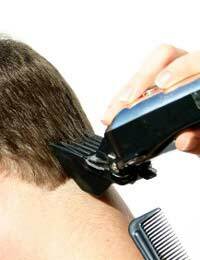 Staff training may be needed when the barbers hires new recruits or adds new services. The competitiveness of a business is often inextricably intertwined with the quality and skills of its employees and, as a business grows, the skills needed for it to remain successful may change. For a small business such as a barber shop, in-house staff training is often the most practical and cost-effective way to improve the skills of employees. This is because training can be scheduled for convenient times and be focused on, consistent with and relevant to the needs of the barber shop. In addition, travelling and accommodation costs are eliminated. In-house staff training can be informal, on-the-job training or a more formal type of staff development, which can be highly flexible and cost effective if properly planned and executed. Even the smallest businesses with no training budget can carry out in-house training. One way to implement informal, on-the-job staff training is job shadowing. This can be used as part of the induction process for new employees and involves an established member of staff explaining all aspects of a particular job. Another method is coaching, which involves regular reviews of an employee’s progress. This allows employees to get feedback on how to improve performance and can be used to introduce new tasks or responsibilities. There are disadvantages of informal, in-house staff training and every effort should be made to minimise these. Watch out for experienced employees perpetuating poor business practices or passing on existing inefficiencies. Ensure employees are taking the staff development seriously, sticking to training schedules and being open and honest about any problems or difficulties. For a more formal approach to in-house training, design a training programme by drawing on existing skills within the barbers. If the training is to be effective, it is essential to have appropriate expertise in-house and quality control procedures in place. The most important requirement is a good trainer. By choosing an existing employee, it guarantees the trainer will know how the barber shop operates and have experience in the field, but an effective in-house trainer will also need good presentation and speaking skills and be able to deal with difficult students, establish a rapport with students, generate interest in the subject matter, plan and design training sessions, evaluate, monitor and give feedback to students, and measure the effectiveness of the training. Evaluating the in-house training helps to improve it and can act as a team-building exercise. When reviewing the impact of training on an employee’s performance, take time to discuss any additional training needs. Look at tangible performance indicators such as sales, output, absenteeism and staff turnover, but also consider qualitative improvements like higher quality services, fewer customer complaints and better teamwork. Try to avoid a long delay between the training and the evaluation, as the longer the delay the less reliable the results will be. As most of the training in a barber shop will be to impart technical skills, the evaluation should take the form of a practical test. Do not let employees provide services to customers until training has shown they are capable of doing so. Even then, inform customers that the employee is in training and offer a discounted rate.